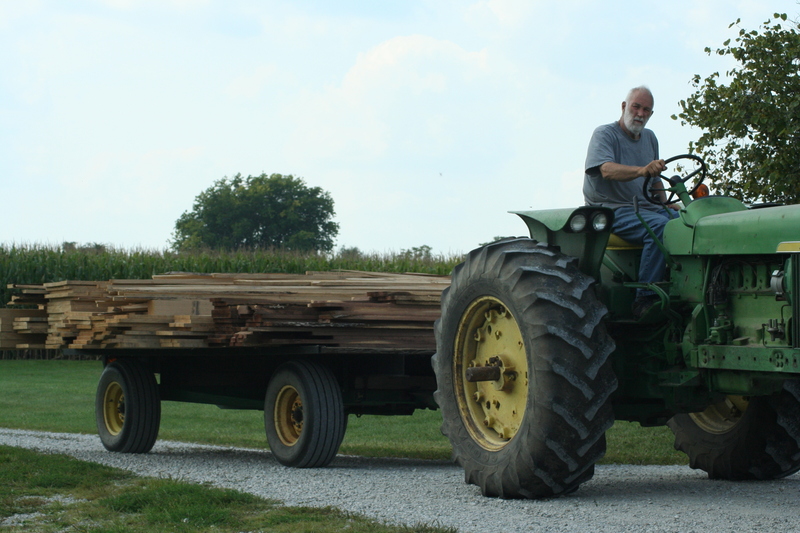 My dad has a farm near our house that has a little patch of timber on it. 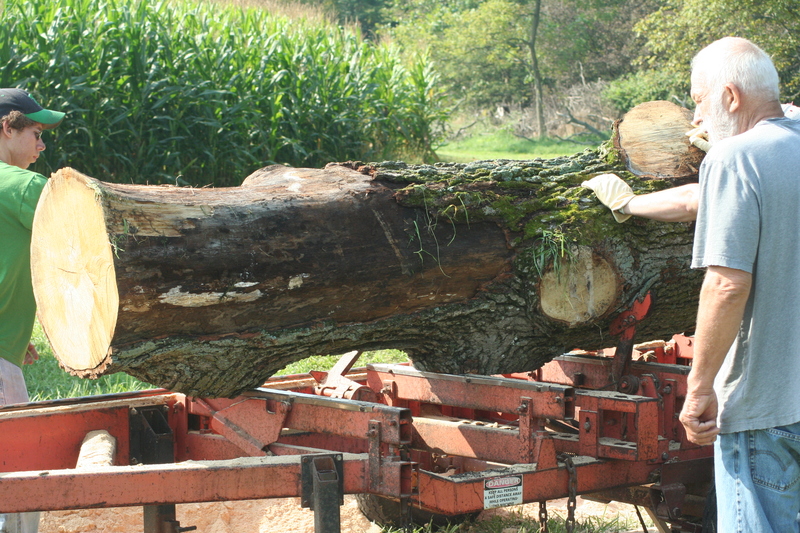 Last year he had a couple of dead trees taken down and decided to have them cut into lumber. 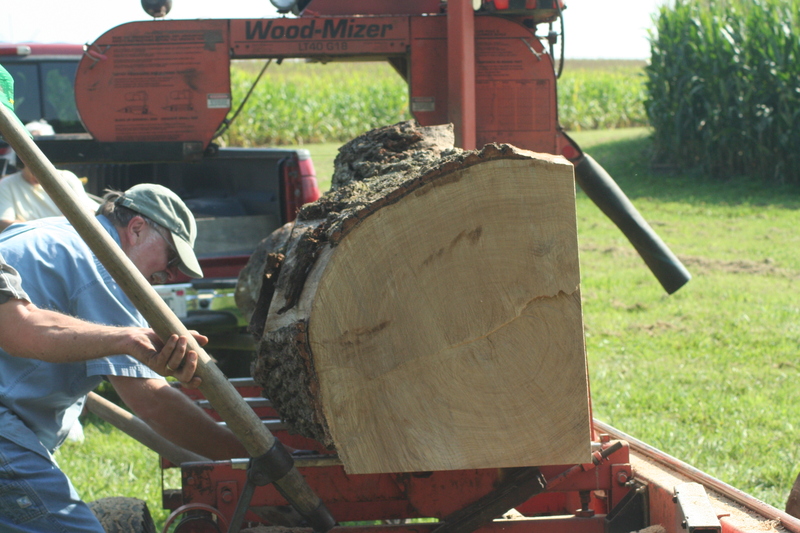 After checking around, he finally found someone that would come out to the farm and cut the wood there. 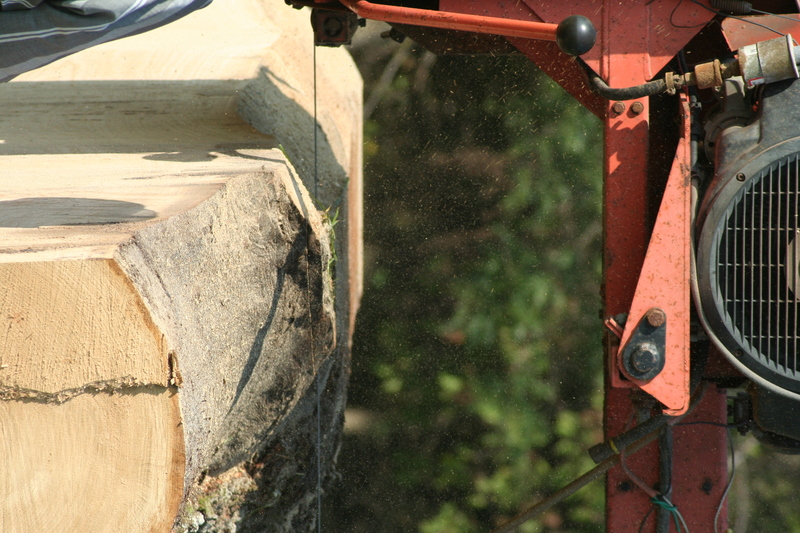 Here they’re loading one of the logs onto the cutting…platform? Trailer? I’m not sure what that thing is called. 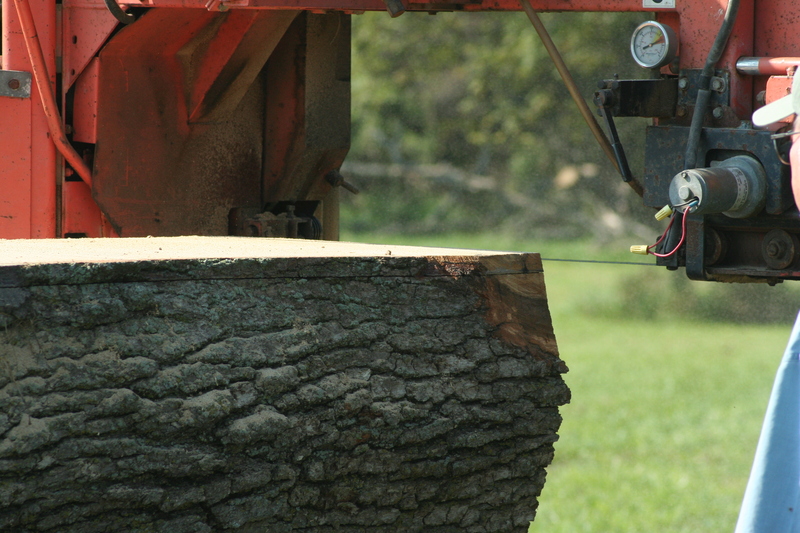 Once they get it loaded and secure, the saw cuts little slices of wood off the top until the knots are smoothed down and the whole side is level. 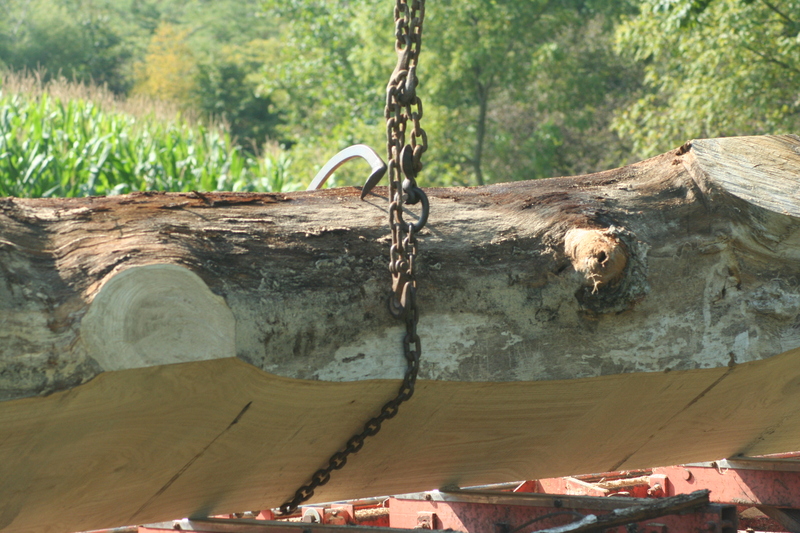 The the log is very carefully lifted, turned, and resecured so the process can be repeated. There were quite a few of these pieces, with the bark still on them. I don’t know how these will be used. 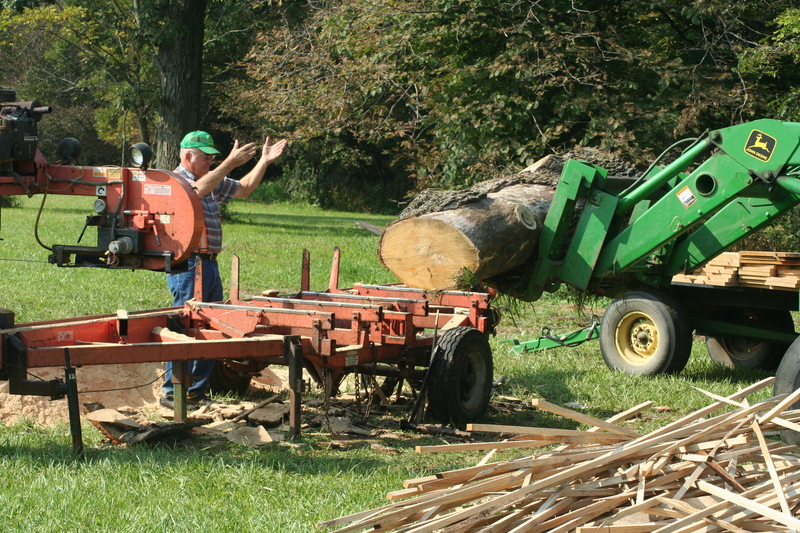 After the logs were all squared off, they cut regular looking lumber from the rest. Since this was such a customizable thing, Dad had a variety of sizes cut. I can’t remember now if it was two or three trees they had done, either way it’s a heck of a lot of wood. 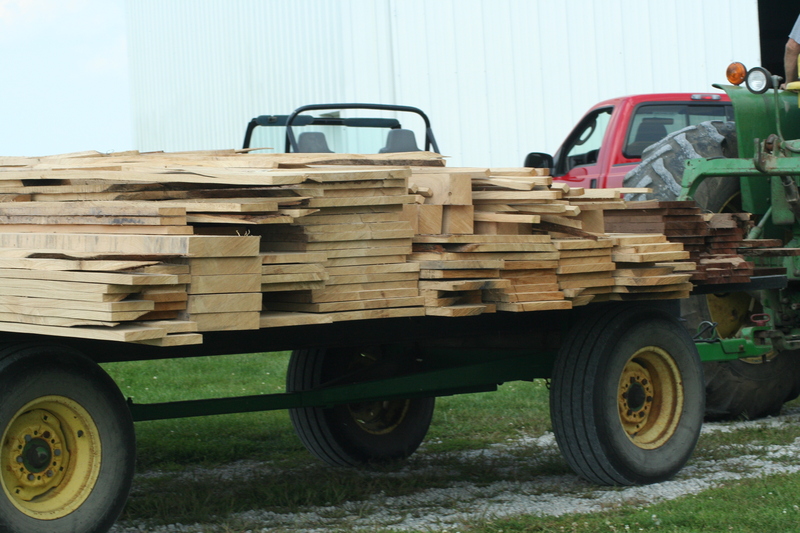 The darker wood on the right end is walnut. The rest is oak. After this, it went to a kiln to be dried for a couple of months. 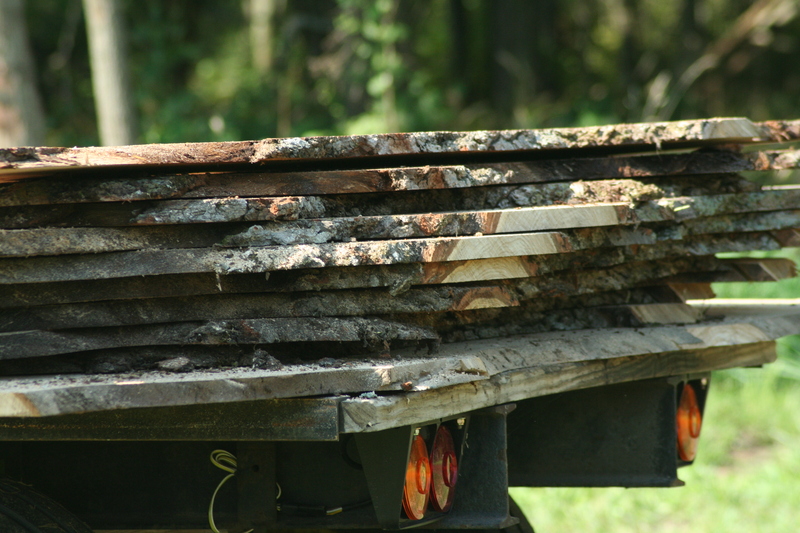 Even though the trees were dead when they were cut down, the kiln still removed 180 gallons of water from the wood. Now it’s stored in a shed waiting for the next step, whatever that may be.